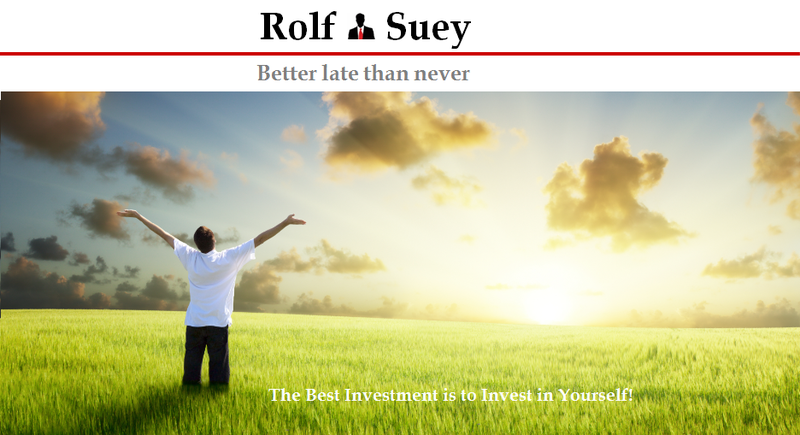 Rolf Suey - Better Late Than Never: A Test! - So What If He is Financially Rich? Let's do a fun test to see what and how we feel if we were to compare to people who are so call better than us in many aspects. Be it their lifestyle, wealth, health, knowledge or experiences. For simplicity, Mr. or he narrated here can also mean Ms. or she. Assuming Mr. X stays in HDB, does not own car, normal employee in the day with median household income. Frugal and contended, X has a happy family and a healthy lifestyle. He saves, invests and seeing his annual financial portfolio grow each year so far, has made him really proud. To enrich himself, Mr. X reads and blogs regularly. To add icing to the cake, Mr. X-variance may even have a 7-figure portfolio with 6-figure passive income. For some reasons, he also likes to announce his portfolio, his stock buy, and passive income in his blog. Hmmm... Mr. X sound pretty much like ourselves in this blogosphere! It is no denial that in terms of financial knowledge alone, Mr. X belongs to the upper echelon compared to most, or at least, this is what he likes to be thought of as. Mr. X then gets to know about Mr. Y for the first time. Mr./Ms Y is younger than him, also a salaried employee but did not reveal specific details of his occupation or income. Mr. Y is a man of humility and hate to compare, but somehow during a conversation, Mr. X knows that Mr. Y lives in a big house, owns luxury car, buy relatively expensive but quality products. Mr. Y also has a healthy lifestyle, happy family and good career. As a matter of fact, Y is also well learnt, save, invests and have little or manageable debts. Assume it is unknown to Mr. X if Mr. Y is financial savvy or if he is using leverage to attain his current lifestyle. Then IMAGINE you are MR. X. 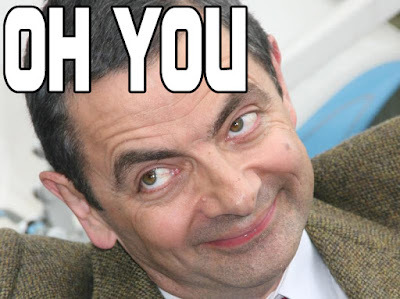 Upon knowing Mr. Y for the first time, what is the first thought that comes into your mind? Choose options A, B or C, whichever closest to your thinking. It is going to intriguing but please be truthful. Ok… it is human nature to always wanted to outperform the other. The sourness kick in once you hear that he lives a better material life and yet younger than you. Then you start to console yourself by thinking that he probably knows nothing about personal finance and use debts to leverage his current lifestyle. In fact and maybe aside from the house, car and better career, Mr. Y can be more financial savvy than you do, has no debts and a bigger and profitably portfolio with a large backup warchest all built up by himself without parents help. The only difference is he prefers not to announce in his Blog as he does not see the need. Mr. Y prefers to focus on himself and his family, continuous learning but dislike comparison. You find that Mr. Y is an interesting person and will like to know more about him. The conversation deepens, you realize aside from his material wealth, he is humble and posses knowledge and experience. He work hard and for some reasons, earn his first pot of gold earlier in his life. You further learn that Mr. Y is actually frugal despite his “on surface” spending. He spent on condo/landed properties with reasons of enjoying the facilities now (which he used frequently) and as a form of investments into the future particularly in land-scarce S’pore. He appreciates quality, which explains the spending within his means for certain things such as car, watch and other wants. Listen and forget. Totally not interested and nonchalant. Continue to live each day, as it is. So which options resemble the most your thinking? This test is meant to "help" and not to "poke"! It allows us to reflect our thinking and be extremely open-minded. I encouraged you to focus on yourself and your family and things you can change. Stop comparing, envy or being jealousy! It only deepens and reveals our inferior complex more. Even if you do not think so, but subconsciously you already did! Eventually you will live an enriched life, whether being frugal or not, or whether if you know how to invest in financial instruments or not, no longer matter. For, your self-consciousness, positive-ness and continuously learning attitude somehow will automatically solve all problems that arise. Don't compare but just benchmark. With benchmarking; at least we will know what is realistically possible to achieve as retail investors and avoid getting pyscho by "Gurus" from their loud advertising e.g. 2X% or 3X% return. In Theory can. In Practice we, the common retail investors with family burden still can? Tks for the comments. I agree with benchmark over comparison! Benchmark give us a reference point to begin/target. Loud advertising from Gurus... haha! Love this statement. Using popularity to create a new Tap of income from seminars? Not a bad idea at all! Also agree that family burden which "eats" time n money makes it tougher for common retail investors to focus entirely in investing. Those who over-spend time in over analyzing or over blogging are likely to incur higher opportunity cost in improving their normal career or family ties. Indeed, comparing for the wrong reason will result in unhappiness. It will be good for one to set clear personal or family goals and work towards it. Review as and when necessary, but not because we want to "copy" others. Agree about review and not copy. And maybe also can substitute "compare" with "learning". About Inner peace, my temper was always hot and patience always thinning quicker than ever once upon a time! It improves after several very significant life events for me. It then triggers me to resolve problems or looking at things in a calmer manner. Reading about people who attain inner peace and practice what they preaches helps. A little bit of A and maybe more of B? Regarding announcing portfolio and passive income, I am indeed guilty of that. I don't deny there's a bit of "stroking the ego" there, especially when readers leave favorable comments. But there are many potential downsides to doing that and by and large, I think most of us who puts up or portfolio are just trying to inspire some readers and tell them that "it's possible". Nonetheless, I have to admit that most of the time, it amplifies the negative emotion of "envy". But as long as there is at least one who is positively inspired, why not? Excellent for the choice selection. Not because u r right or wrong but bcos u r always truthful to urself. I read ur articles often and this is without doubt one of ur pillars of strengths. Cheers! While I am still young but closing in to big 4 soon, so guess I m not too young either. Regardless of age, I think the right mixture of old and young perspectives, energy and experiences are important. Considering average normal people, the old interact with young not necessary is to learn or teach anything but to get influence their jest, energy and creativity. The young should respect the old for their experiences/sustainability and be more receptive on things that have yet to experience in life. Regarding portfolio announcement, no need to be guilty as I think your portfolio is a proud one to be announced. just like many others, kaypoh on other portfolio is common. I did not get only sentiments from your article at all that u only want to invite praises. There r many elements of inspiration and positivity. Eventually one day when u decide not to publish then probably u can drop me a note to tell me why? Cheers again. Comparing is the fastest way to make yourself miserable. It is one of the biggest failings of our city. My takeaway when I look at successful people is always to be inspired. I personally refrain from talking about my own financial investments because in my mind that's the equivalent of a net worth selfie, and apart from vanity there is very little contribution to anyone else's learning. I agree the environments of many meritocracy cities of today is not ideal to cultivate the "right mind" to attain inner peace and the meaning of TRUE life! I also concur that "intelligent" people will be inspired rather than feeling sour by successful figures. However, the defining fallacy is "successful inspiration" often only applies to people so distant and so famous e.g. Warren Buffett, Steve Jobs, Bill Gates etc. We choose to ignore those nearer to us. In reality, we do not even want to admit that our friends, relatives, or colleagues are successful even if they really are. It is a mental/mind incompleteness or put it in simpler term "inferior and insecure!" Strictly speaking, someone tell me before that you will never ever in your entire life be successful even with Tens of millions if this aspect of "subconscious inferiority complex" is not eradicated.